I read a fantastic blog post by my friend and former colleague, Marina Gijzen. Marina is an exceptional teacher who, in my opinion, embodies the very definition of a compassionate teacher. If I had my way, I would make sure we lived in the same spot by the time my daughter is in third grade just so she could have the good fortune to have Mrs. Gijzen as her teacher. Marina’s latest blog post, Do Unto Others As They’d Like Done Unto Them is fantastic. I love the post for its thoughtfulness, its insight, and the way it demonstrates Marina’s constant and consistent concern for the children in her care. 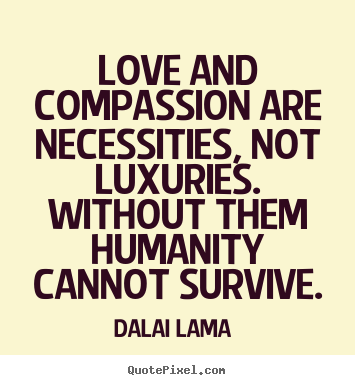 How would you assess your level of compassion in the classroom? For more information on Denise’s story, click here. Oh my life I just watched Denise’s story. Incredible. Thanks for sharing it. I love her story. I just love it. And its not just the kids who are the lucky ones. Denise looks and sounds so happy. When she talks of “Ben making me a mum” I cry happy, happy tears. So awesome. This is without a doubt all very a newcomer to me of which this article certainly opened a eyes. Thanks designed for sharing around your intelligence.